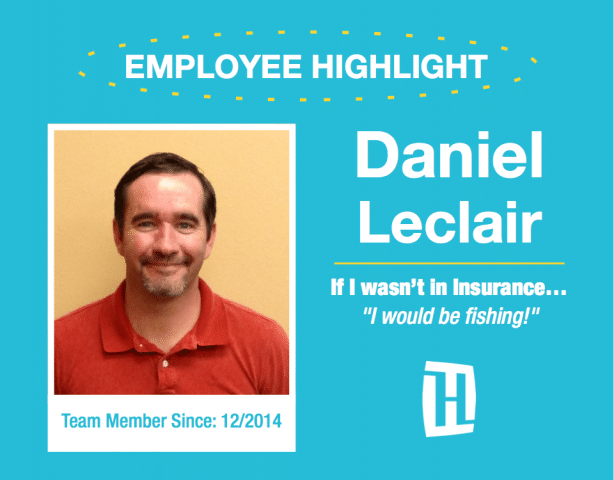 December Employee Highlight: My name is Daniel LeClair and I have been in the insurance industry for seventeen years doing both personal insurance and underwriting. My experience has given me the ability to find and inform the customer just what is necessary to be safe and secure in the knowledge that they are protected properly. In my history, I worked for AIG for two and a half years as an underwriter doing personal lines auto and then on to twelve years as an outside sales agent/call center agent for Liberty Mutual. I have now been with Heacock Insurance Group for two years as of December 2014 selling all personal lines of insurance to clients in the Florida area. My specialties are in home, auto, life, umbrella, boat and flood insurance for my customers and my door is always open for any questions. 1. Outside Sales Agent: Helping new business clients and renewal clients with needs to find the best options available in the marketplace for home, auto, life, umbrella and all other lines of business. 4. Favorite Team: Go Bucs! 6. Hobbies: Fishing, Basketball, Golf and anything involving my kids. 8. Strong Suit: Dependable and hard working. 9. If I wasn’t in insurance… I would be fishing!